The Q5 device, aimed at markets like Latin America, the Middle East, parts of Europe and Asia, will be available in July. 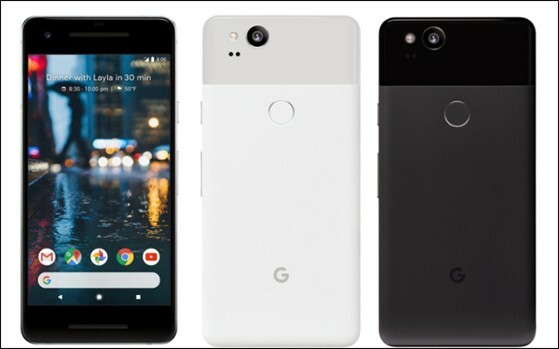 The company has announced no plans to introduce the device in the U.S. thus far. The new BlackBerry Q5 smartphone is a spin on BlackBerry’s recent new releases, the Blackberry Q10 and Z10. Confused Yet By All the Qs and Zs? The Q5 is aimed at reaching younger audiences, and features fun colors like red. It has a full QWERTY physical keyboard. It uses the new BlackBerry 10 software. It has a 3.1-inch touchscreen for those who prefer that method for communicating or navigating. The CrackBerry video below previews it. The Z10 is BlackBerry’s flagship touchscreen phone. It was launched in March and represents a departure from previous BlackBerry devices which mostly have featured a physical keyboard. The Z10 is also built on the new BlackBerry 10 operating system. That system offers a number of new features, including the BlackBerry Flow which helps you save time by not having to jump in and out of applications. It also features the BlackBerry Hub, which gives access to all your messages from various apps in one place. The Z10 is an attempt to catch up with smartphone competitors in a mobile industry BlackBerry helped create. The Q10, also using the BlackBerry 10 software, is a return to the company’s roots with a physical QWERTY keyboard. The physical keyboard is beloved by stalwart BlackBerry users. The Q10 is a more high-end product than the Q5. Product startups aren’t the only entrepreneurs using crowdfunding to finance their products. Crowdfunding giant Kickstarter has hit a landmark, recording $100 million in pledges to small publishers and self-publishing authors. Here’s a breakdown of the statistics that made this milestone possible. Kickstarter’s latest achievement is good news for writers and small publishers looking for funds to reach their audience. 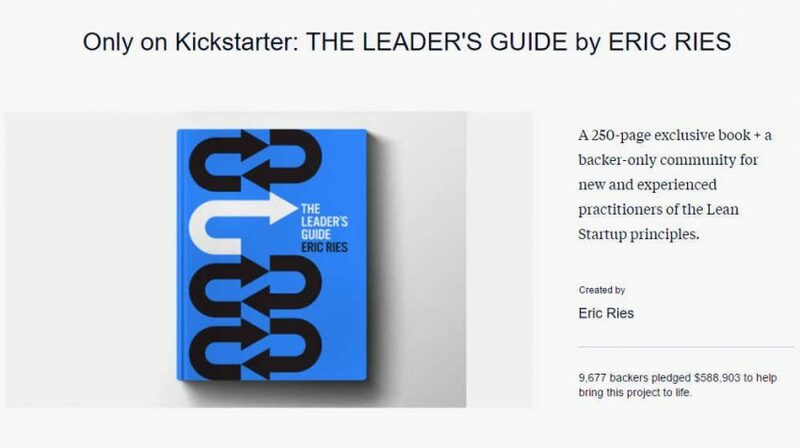 Notably, authors such as entrepreneur Eric Ries, author The Lean Startup are now turning to the site to raise funds for their literary work. Apart from authors, literary magazines are also opting for the platform to meet their goals. Interestingly, new indie publishers like the Big Bang Press are launching Kickstarter to fund books by fanfiction authors. A very important tip for fiction writers and publishers to remember is that selling is a challenge. It’s therefore crucial to create an engaging proof of concept. The project description should generate curiosity to entice the readers. Leveraging social media is also a great way to achieve crowdfunding success on Kickstarter. Book Riot ran a promotional campaign and gave away goodies to expand its social reach. The idea helped the publisher gain new readers and boosted its chances. The geographical horizon of the Aryans was limited to the north western part of the Indian subcontinent known as Saptasindhava. The Vedic texts do not mention the word Bharata in the sense of a country though they refer to the tribe of Bharatas at several places in different contexts. In Panini’s Ashtadhyayi (500 BC) we find a reference toPrachya Bharata in the sense of a territory (janapada) which lay between udichya (north) and prachya (east). It must have been a small region occupied by the Bharata tribe and cannot be equated with the Akhanda ­Bharata or Bharata of the Hindutva brigade. The earliest reference to Bharatavarsha (Prakrit Bharadhavasa) is found in the inscription of the Orissan king Kharavela (first century BC), who lists it among the territories he invaded: but it did not include Magadha, which is mentioned sepa­rately in the record. The word here may therefore refer in a general way to northern India, its precise territorial connotation remaining vague. A much larger geographical region is visualised by the use of the word in the Mahabharata (200 BC to AD 300), which provides a good deal of geographical information about the subcontinent, but a large part of the Deccan and the far south does not find any place in it. Banabhatta’s Kadambari (seventh century), at one place describes Bharatavarsha as being ruled by Tarapida, who “set his seal on the four oceans”. But since it is referred to as excluding Ujjaini from it, the location and boundaries of Bharat are far from clear. Bharatavarsha figures prominently in the Puranas, but they describe its shape variously. In some passages it is likened to a half-moon, in others it is said to resemble a triangle; in yet others it appears as a rhomboid or an unequal quadrilateral or a drawn bow. TheMarkandeya Purana compares the shape of the country with that of a tortoise floating on water and facing east. Most of the Puranas describe Bharatavarsha as being divided into nine dvipas or khandas, separated by seas and mutually inac­cessible. The Puranic conception of Bharatavarsha has similarity with the ideas of ancient Indian astronomers like Varahamihira (sixth century AD) and Bhaskaracharya (11th century), though in their perception it does not seem to have included southern India. Although a 14th-century record mentions Bharata as extending from the Himalayas to the southern sea, by and large, the available textual and epigraphic references to it do not indicate that the term stood for India as we know it today. In many texts Bharata is said to have been a part of Jambudvipa, which itself had an uncertain geographical connotation. The Vedic texts do not mention it; nor does Panini, though he refers to the jambu (rose apple) tree. The early Buddhist canonical works provide the earliest reference to the continent called Jambudvipa (Pali, Jambudipa), its name being derived from the jambu tree which grew there. Juxtaposed with Sihaladipa (Sans. Simhaladvipa=Sri Lanka), of the inscriptions of Ashoka, Jambudipa stands for the whole of his empire, which covered nearly the entire Indian subcontinent excluding its far southern part. He unified the major part of the Indian subcontinent and called it Jambudipa. But he did not use the word Bharat to denote this vast land mass. Despite the use of the word Jambudipa for the whole of his empire, the ambiguity about its territorial connotation is borne out by both epigraphic and literary sources during the subsequent centuries. In a sixth-century inscription of Toramana, for instance, Jambudvipa occurs without any precise territorial connotation, and in the Puranic cosmological schema, it appears more as a mythical region than as a geographical entity. According to the Puranas the world consists of “seven concentric dvipas or islands, each of which is encircled by a sea, the central island called Jambu­dvipa…”. This is similar to the cosmological imaginings of the Jains who, however, placed Jambudvipa at the centre of the central land (madhyaloka) of the three-tiered structure of the universe. According to another Puranic conception, which has much in common with the Buddhist cosmological ideas, the earth is divided into four mahadvipas, Jambudvipa being larger than the others. In both these conceptions of the world, Bharatavarsha is at some places said to be a part of Jambudvipa but at others the two are treated as identical. The geographical conception of both Bharat and Jambudvipa are thus factitious and of questionable value. 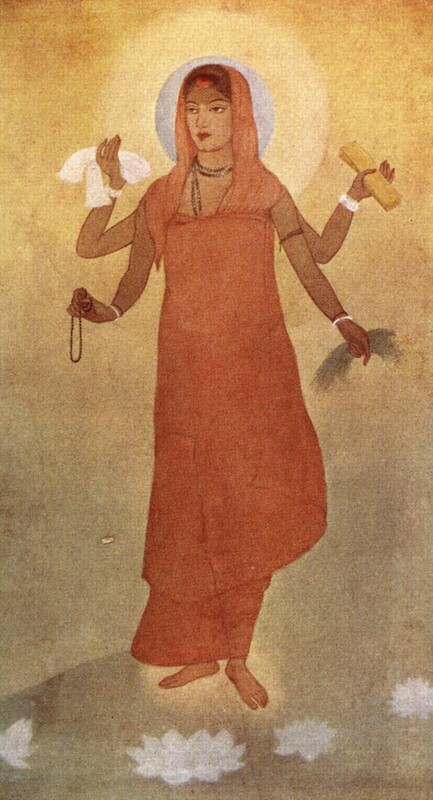 Abanindranath Tagore/ ‘Banga Mata’ water colour that he later decided to title ‘Bharat Mata’. 1905. It was only from the late 19th century that Bharatvarsha in the sense of the whole subcontinent, and Bharat as Mother found their way into the popular vocabulary. The anonymous work Unabimsapurana (1866), KC Bandyopadhyaya’s play called Bharat Mata (1873) and Bankim Chandra Chattopadhyaya’s Anandmath (1880) were among the earliest works to popularise the notion of Bharatmata. Its visual evocation came perhaps not earlier than 1905 in a painting by Abanindranath Tagore, who conceived of the image as one of Bangamata but later, “almost as an act of generosity towards the larger cause of Indian nationalism, decided to title it ‘Bharatmata’”. Far from being eternal, Bharat mata is thus little more than a 100 years old. Insistence on her inhabitants forming a nation in ancient times is sophistry. It legitimatises the Hindutva perception of Indian national identity as located in remote antiquity, accords centrality to the supposed primordiality of Hinduism and spawns Hindu cultu­ral nationalism which prompts the saffron brigade to bully the Indian people into chanting of Bharat Mata Ki Jai.